Contrast is possibly the most important aspect of any musical endeavor, therefore record labels themselves should produce enough contrasting albums to fully explore the palate of their listeners. It would be rare for a single record label to incorporate all of the musicians of Brainfeeder, never mind the amount of cross-collaboration the label has encouraged. All of the masterfully produced and creatively composed music of Brainfeeder’s 2015 catalogue has resulted in a truly spectacular collection of contemporary music that will be absolutely be seen as prolific for years to come. 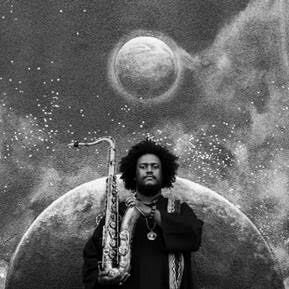 The world simply cannot generate enough praise for Kamasi Washington. The man has approached jazz with a rock and roll level of intensity and near Coltrane level of virtuosity. In a world were all music is essentially available free for anyone at any time, Washington has somehow managed to gain international recognition through the employment of a three hour jazz album, thus proving the relevance of truly great work in modern day society. Despite the obvious approachable aspect of the album, Washington has refused to accept any level of musical sacrifice resulting in a nearly untouchable piece of music suitable for devote music listeners of any genre. Energy. Plain and simple. The amount of work that went into this album can be heard whenever Washington reaches his blood-curdling saxophone scream while the drums of Leon Mobley, Tony Austin, and Ronald Bruner, Jr. are beaten to death in moment of pure blood, sweat, and tears. Subtly is an important aspect of music, however, the powerful, energetic approach of The Epic is probably the most appealing aspect of the first listen. Also, the atmosphere of it all is possibly where the accessibility is found. Music in every setting has always displayed an evolution of energy. Without some range of different levels of excitement, music becomes dry and boring. Washington’s constantly evolving sound and emphasis on musical power has resulted in a piece that is just simply impressive to watch unfold and as energetic as any other album on the market right now. One of the most memorable tracks on The Epic has to beThe Magnificent Seven. As described, the song is in 7/4. This is a somewhat progressive songwriting strategy, however, what makes it so impressive is the ease with which it is approached. Washington plays in seven with the same raw intensity that he employs on the entire record and the beautiful choral melody hides away the uncommon meter, providing some sense of subtlety. It is also impressive how grabbing the song is considering its twelve minute length. As a jazz DJ, I might have a slightly different gage for song length and interest, but I fail to see how anyone could possibly not be glued to their seat from beginning to end on The Magnificent Seven. This song is a perfect example of how each cell within the album is representative of the work as a whole. Washington employs subtle progressive elements to provide the listener with something different to latch onto all the while incorporating high intensity choral parts and instrumental solos and somehow leaving space for beautiful melodic highlights. Perhaps Brainfeeder’s order of releases this year was coincidental, but I believe that Washington’s Epic was meant to be the flagship. With its May release date, The Epic set the tone for the 2015 and generated my interest in the other albums released on the label this year. The burden of virtuosity. Nobody can play the bass quite like Thundercat, but that’s not what makes his work so impressive. Virtuosity is simply not valued in the same way in 2015 as it was in the time of Franz Liszt or Wolfgang Mozart. The most important aspect of Thundercat’s music career is the way he writes songs. Thundercat puts together a piece of music in a similar way to Lou Reed or Patti Smith, expertly incorporating his personality and imperfections into the sound aesthetic of the song culminating in a beautifully subtle song for any music lover to enjoy. The album art of The Beyond/Where the Giants Roamdisplays a mythological, silhouette emerging from the fog while the shimmering light sets on a long autumn afternoon. The sound aesthetic of the EP itself is largely reflected by this cover. The darkly produced drum beats are made mysterious by the light, foggy bass work and Thundercat’s longing voice shimmers over the top of it all like the setting sun. This combined with the vivid imagery of Thundercat losing track of his heart on Them Changes and the chilling atmosphere on Song for the Dead, provide the piece with a captivating level of mental turmoil. The emotional affect is stunning. Minimalism is everywhere on this piece. Clocking in at only sixteen minutes, The Beyond is gone before you can even blink, however, the culmination of Thundercat’s featured artists and brilliantly selected little details results in an impact like that of a Monet Haystack. The lyrics of Lone Wolf and Cubperfectly summarize the potential of simplicity. There’s really not much to “Wolf and cub, wolf and cub, wolf and cub/On your own, on your own, on your own/Where will you go? Where will you go? Where will you go” and the rest of the song employs similar, repetitive phrases, yet the theme of being lost and having nowhere to go leads the song into a terrifyingly eerie realm. When combined with the droning instrumental outro, these minimalist phrases are able to create a heavy, lasting impression on the listener. One of the best moments on Where the Giants Roamstems from Thundercat’s minimalist detailing. The climax ofSong For The Dead is reached as the volume reaches its peak towards the end of the song. Not only does the intensity of the song grow, but just when the climactic moment is about to occur, a mechanical whistle of sorts reaches its highest frequency and the vocals are panned from right to left almost like a bass drop at an edm concert. The result is glorious. The spacy aesthetic of the whole EP comes together for a momentary spark of excitement before sputtering back into Thundercat’s melancholy world. Oh Sheit it’s X will forever be Thundercat’s best bass line, but he spent 2015 proving that his mastery of emotion comes full circle. 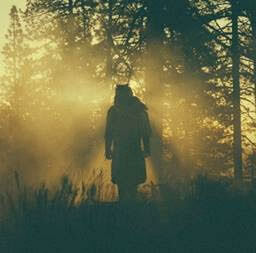 Just after the horrifying terrorist attacks on Paris last month, Thundercat recorded a song that took the cities name. The 74 second piece perfectly captured the emotions of the world with the subtlety of a prayer. The Beyond/Where the Giants Roam was approached with the same simplistic ideology and the results were truly magnificent. Iglooghost is a bit of an enigma. In following him on twitter since the release of this EP I have discovered that he is 18 years old, from England, and he began creating music at the age of 15. The aura that he has established around himself is heavily reflected by his music. The piece operates as one unit sporadically jumping from insane idea to insane idea resulting in an unstable electronic explosion of uniqueness. When discussing Chinese Nu Yr, the subject of aesthetic has to be the first thought; it’s borderline indescribable. The over-the-top futuristic electronic sounds and intentionally overbearing textural approach combine for a truly futuristic sound that doesn’t simply warp the human element of the music, it dismisses it entirely. 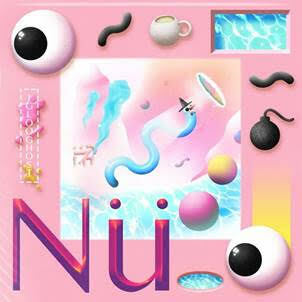 Even when the EP transforms itself into the somewhat predictable rap verse/DJ context with the Mr. Yote feature, Chinese Nu Yr completely avoids predictability in its presentation. The song sidesteps the pop song structure entirely and more focusses on flow. The ideas develop and seep into each other in a quasi-improvisational manner and Mr Yote’s rap is just another piece of the cycle. This mentality combined with the electronic mastery of Iglooghost result in a fascinating sound aesthetic completely uncompromising in its search for the future. The subtle hints of genius on this EP are arguably Iglooghost’s greatest quality. He’s a comical character who approaches his music in a borderline sarcastic way but he also incorporates these tiny moments of absolute brilliance that classify him as a true genius. The sentence “He/she is perennially sad and terrified because it doesn’t make any sense why he/she was randomly born into this existence” from the EP’s backstory is especially striking. He has written this extravagant backstory of a worm sporting a witch’s hat flying through the galaxy, yet he hides in this philosophical point about the experience of existence. Despite the absence of words the music also embodies the sarcastic, extravagance of the back story with the same level of intertwined excellence. The aesthetic of the song has been discussed previously and it is certainly a major part of the musical excellence but, Iglooghost also employs rhythmic mastery that is seriously progressive in the electronic dance music idiom. Rather than the underlying bass drum/snare quarter notes of commercial electronic music, it is clear that the percussive bass part was carefully concocted based on the activity in the rest of the sound arc. The constant, unclear human voice elements of the piece are another interesting way of creating rhythmic variety. I’m not entirely sure where the voices come from but they have been manipulated in a manner where they are reduced to a rhythmic effect; it’s an entirely different way of sampling. Iglooghost’s 16 minute EP is quite possibly the polar opposite of Thundercat’s 16 minute EP, but the results are truly just as spectacular. His youth, originality, and musical prowess culminate in and EP that truly breaks the rules and gives us insight into a possible electronic genre of the future. This record is an example of how much a great producer can do for a great group of musicians. 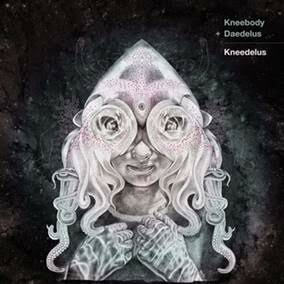 Kneebody is an experimental fusion band that has always incorporated pedals and electronic sound ideas into their jazz-rock setup, but somewhat failed to nail it when it came to their recorded material. In other words, they fit Flying Lotus’ archetype perfectly. The advanced group of musical minds were brought to the record company and paired up with producing wiz Daedelus resulting in a record that is as impressive on paper as it is within its sound arc and one that breaks down boundaries that would not have been entirely possible without the help of Brainfeeder. One of the most significant aspects of Kneedelus is the depth of the sound. The bass growls with tasteful distortion, the drums are approached with a booming explosiveness that hits the listener right in the gut, and the electronic sounds generate this eerie textural element transporting you to another world in a similar manner to Chelsea Wolfe’s Abyss. This is in stark contrast to Kneebody’s last record The Line, which operates like a semi-typical modern day fusion record. The straight ahead rock drum sounds and clean electric bass work have been replaced with a new-found sense of maturity and sophistication that has to be attributed to Daedelus. Daedelus has been a bit of a wild card in his solo work. From mysterious vocals to classical guitar work, his last album The Light Brigadedemonstrates his uncanny ability to produce anything. OnKneedelus, the necessary aesthetic evolution was darkness and depth and both have been found in Daedelus’s producing excellence. Another important aspect of the ensemble sound is the horns, which haven’t changed a whole lot with the presence of a new producer. The slightly electronic horn lines and solos have always been an important part of Kneebody’s sound and with so much other change going on they have found familiarity in the use of these horn parts. Now the brightness of Shane Endsley’s trumpet tone is not matched by a clean-cut ensemble sound, instead it is contrasted by the darkness of it all. Just as Kanye West has gone about generating evolutions in aesthetic around his relatively unchanging rap verses, Kneebody has moved around the sounds that surround their horns thus creating a perfect blend of ideas new and old. With all evolving ideas and aesthetic changes set aside, it is obvious that the songwriting itself deserves some credit. The last song on the record Not Love is quite frankly one of the most beautiful things to grace my ears this year. The simple melodic piano chords are taken into glorious territory with the light vocal line. The horns come into to back it all up with the slightest hint of strummed upright bass below it all. The tempos change, the energy evolves in a way that fully encapsulates the listener even though the melody is relatively steady. It’s a perfect execution of minimalism that would simply not be possible without a truly magnificent level of musical composition. When combined with the progressive meter, advanced jazz improvisation, and textural genius of the rest of the record, the minimalism of Not Love is all the more impressive and it shows just how prolific this band can be. For me, this album has solidified Brainfeeder’s importance. Jazz has always been an amazing art form but it has always struggled to provide something for everyone. I got a chance to see Kneebody play live over the summer and they put on a very interesting show in a traditional sit-down, playing-for-old-folks jazz situation, but now they might be taking a step into the Metropolis scenario. I believe that production like this is the future because it can seriously change the way a record is executed without making the music itself simplistic in any way. It is clear that Flying Lotus wants to expose the brilliant, progressive musicianship of his artists while also letting them earn some money well they’re at it and the entire Brainfeeder 2015 catalogue has accomplished this idea perfectly.